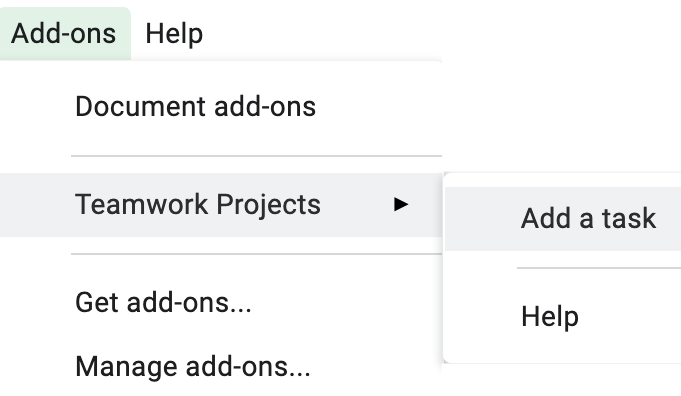 Within Teamwork Projects, you can add tasks to your projects directly from Google Sheets using the Projects add-on. 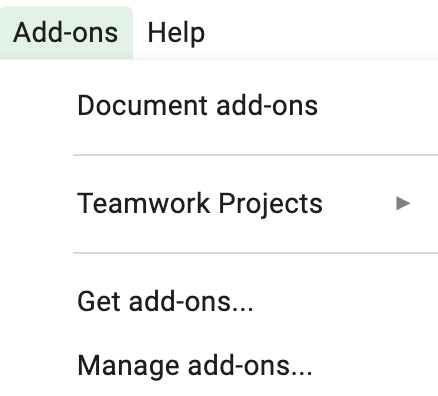 You will then see Teamwork Projects listed as an option in the Add-ons dropdown when you have a document open in Google Sheets. 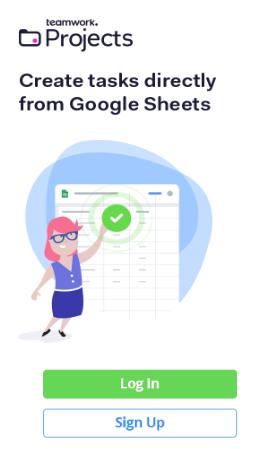 You can also set up the add-on from within a Google Sheet. 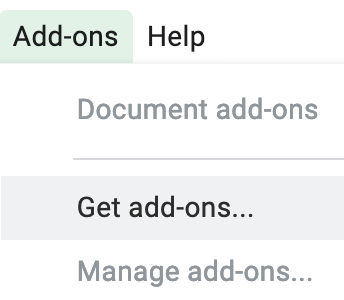 When you have a document open, click Add-ons in the horizontal menu bar and select Get add-ons from the dropdown. In the results, you will see the Teamwork Projects add-on. Click the + Free button to the right to get started. Once you Allow in the permission access window, you will then see a new Teamwork Projects option in the Add-Ons dropdown. 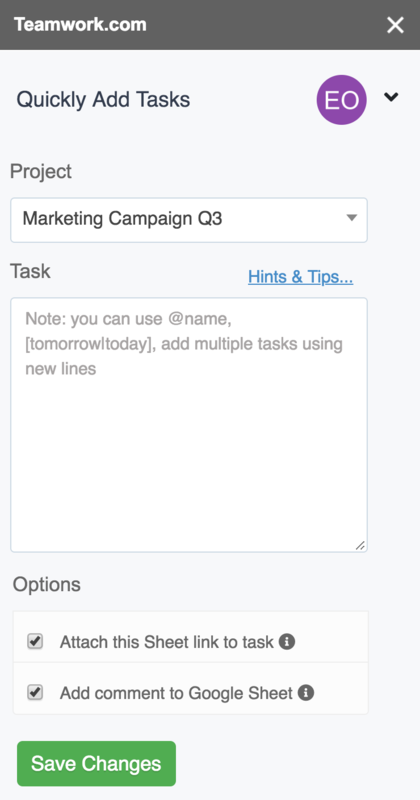 Click the Add a task option to open the Projects modal on the right hand side of your sheet. Here, you can either log into an existing Projects account, or sign up to create a new one.